Tent buying on a budget..? I'm for some reason having a really hard time identifying threads already dedicated to this topic...Google is being kind of difficult, too. It seems as if most people have a larger budget than I do! I keep seeing tents that look flimsy or have a lotttt of mesh. I don't mind covering up the mesh with other materials but these are looking rather excessive! Any suggestions? Re: Tent buying on a budget..? Well, I think that's a little risky, being as the Burn is coming up so soon and that's such a hit or miss opportunity. I will search CL, though. Does a tent like this look like it'll do the trick? It should, Eureka's a fairly good tent. Don't forget to cover the mesh, blankets and binder clips. Hmm, it looks good to me but I'd reeeeally like to find something cheaper! Why am I so bad at this? What kind of tent do you normally use? This is my first year so... nothing! I would suggest at minimum a 4 person tent. A 2 person tent will get very old very quick. I totally understand shopping on a budget, which totally limits your options. Even with that said, try to find the tallest tent that you can. You will get sick of having to change your pants laying down very very fast! I'm not sure if I can post a recommendation for a certain tent by a certain manufacturer. So Mods, if this is out of place please feel free to delete it. My sister has this tent. It has A LOT of mesh around the top, but with a few spring clamps something like these then you can attach a sheet pretty easy. This tent is large enough to fit a queen size air mattress and a suitcase or (2) 'rubber maid' storage contains in. Just make sure that if you use an air mattress that you inflate it inside the tent, cause it wont fit through the door when inflated. Our first year, a camp mate used this tent. He really liked that it had a little "awning" type deal, which if you put a small tarp under, it makes a really good place to take off shoes and really dusty clothes before you get into the main tent area. It also gives you a lil privacy to get undressed out side of your tent, so that you don't track a ton of dirt in. 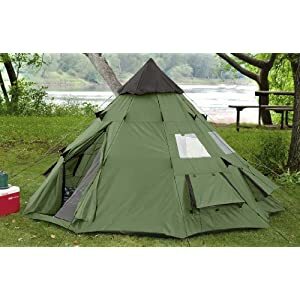 This is an Amazon search for "4 person 3 season tent" then I refined the search to 50-100 dollars. I think in the price range that your looking, you're going to have a lot of trouble finding something that doesn't have a lot of mesh. We're going through the same thing right now trying to find something for the 2 of us, that is under $250. We're gonna be on Playa for 11 days, so we need to up our game a little. I can't do another week or longer of having to change my close laying down, and hunching around in the tent. Just having to hunch in the tent ends up killing my lower back after a few days. It doesn't say what shipping cost though. Some place around eplaya, there was discussion all about these little 'tee-pee' tents. I kind of remember people saying to 'reinforce' the center pole. I don't remember how they did it or why they did it. I have found some great deals on tents through Craigslist. Make sure to open it up and check all the parts to make sure everything is there and in good working order. I had one that I bought without checking that had a missing pole. It is possible to replace missing poles, although I'm not sure about cost. I suggest bookmarking the recent tent threads and trying to understand all the issues people bring up in general, and more specifically about staking and such. Some people need to pack for flying or ride sharing, some don't. Some need a tent tall enough to jump up & down in, but a backpacking tent can work fine if all you plan to do is sleep and you're not a privacy freak; and they're much better in the wind. Also, you might start by going to decent outdoor stores eg REI and note what brands and styles suit you, so you can go shop online and compare. Get inside a tent and imagine changing your underwear on a 100-degree day. All my tents have been from the attic, yard sales or thrift shops. Anything can be made to work, but if you're on your own and don't expect to have much of a windbreak where you camp, a small 2- or 3-man tent with minimal mesh is best. Cheap family type tents do not hold up in direct wind, but small tents from Target or wherever do pretty well. A truck or van can help as a windbreak, along with using all guy line points on the tent. Shade always helps, but rather than build a large frame structure you can use a lightweight nylon tarp strung between a couple of poles, eg the Kelty "Noah's Tarp", the Kelty Sunshade, or something similar. Or shade mesh strung from poles. Cheap blue tarps are too noisy when the rustle in the wind. I have taken something similar to this (although slightly bigger) to Burning Man for the last few years; for other people to use. It seems to have held up pretty well, I have had it for about 10 years, and 4 or so trips to BM. I've taken cheap Target or Walmart tents out there, and they were fine. They may not last as long as a Springbar, but I've gotten four years out of one, and a campmate has used his for 6 or so and it's still going strong. Personally, I don't cover up the mesh, because in the morning I want all the airflow I can get. It can get a little dusty inside, but not too bad. Obviously YMMV. I like that there's only that one mesh thing to cover up. It seems like there's lots of space, both horizontally and vertically. Though can someone help me out in terms of the seams? Am I looking for something seamless? Or could I maybe cover them with tape or something like that? I bet there's a ton of mesh under that rain fly. The Quest Eagle should probably be OK. It does look to have one disadvantage that sometimes gets over looked. Since it only has two poles, it only has two places to put stakes in. This means in heavy wind it is pulling on only two stakes. A 10x10 Springbar (same size) has 16 places to put in stakes. Try to have some kind of wind block, and load the windward side with heavy stuff like water. StevenGoodman wrote: Since it only has two poles, it only has two places to put stakes in. This means in heavy wind it is pulling on only two stakes. A 10x10 Springbar (same size) has 16 places to put in stakes. 2 poles means 4 corners. There are also additional places to guy line out from the rain fly then steak that down. A spring bar is also more like cabin or wall tent.... broad and flat. Dome tents tend to do really well in bad windy storms. We've camped pretty far up Matterhorn Peak, near Telluride, CO. When the storms role in, you are IN the clouds. The wind will rock and shack vehicles. We had a large old school green army tent, aka a "wall tent", get knocked down, and ripped off the mountain. It sailed like a kite! The only thing that was left was the ground tarp. Great big broad flat and rigid tents tend to not like wind. All the dome tents around, even the cheap walmart tents, just get laid flat from the wind. When the gusts stop they spring back up, then get laid flat again, then spring up, then get laid flat. Though, obviously they only stand when using good steaks and guy lines. Its also a great idea to put heave containers like all your costumes or suitcases in your tent. It doesn't hurt to throw a 7 gallon water jug in one corner either. Well the good thing is, I'll have all of my gear inside the tent to help keep it weighted down. Does that last option seem alright, then? Do you think the mesh will be too difficult to cover? We're hopefully going to have enough cars to create wind barriers around our tents. Duh, can't count or type! I would be happier if the Quest Eagle had an extra stake down point on each side. To keep the wind from getting underneath and pulling on the two stakes in the corners facing the wind. But I do think it will work fine. Jemma wrote: Well the good thing is, I'll have all of my gear inside the tent to help keep it weighted down. Does that last option seem alright, then? Do you think the mesh will be too difficult to cover? We're hopefully going to have enough cars to create wind barriers around our tents. I think it sounds like a great tent! 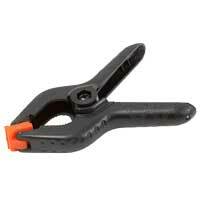 If you use some of these plastic spring clips you can easily attach a sheet over the mesh. Thanks guys! I think I'll get it. That's your average Burning Man tent. Needs help (per all above suggestions).